We’re delighted to be bringing three events to next week’s TWT in Liverpool – our Clem Attlee Readings plus films We Are Many and From Montgomery to Memphis. And do share with any friends and colleagues who may also be at TWT! READERS Adjoa Andoh, Richard Attlee, Kika Markham, Paul Mason and Owen Jones. Introduction by Francis Beckett. For a man who led our greatest transformational government, we know next to nothing about Clem Attlee – who he was, what motivated him, where his passion for socialism originated and the myriad forces he faced down to deliver Labour’s phenomenal 1945 manifesto. This performance breathes life into a man to whom we all owe so much – Attlee was a quiet revolutionary, in politics to ‘do’ something, not ‘be’ something. To know Attlee better is to know what can be achieved today. This fearless, thought-provoking documentary is the remarkable inside story behind the first ever global demonstration, and its surprising and unreported legacy. 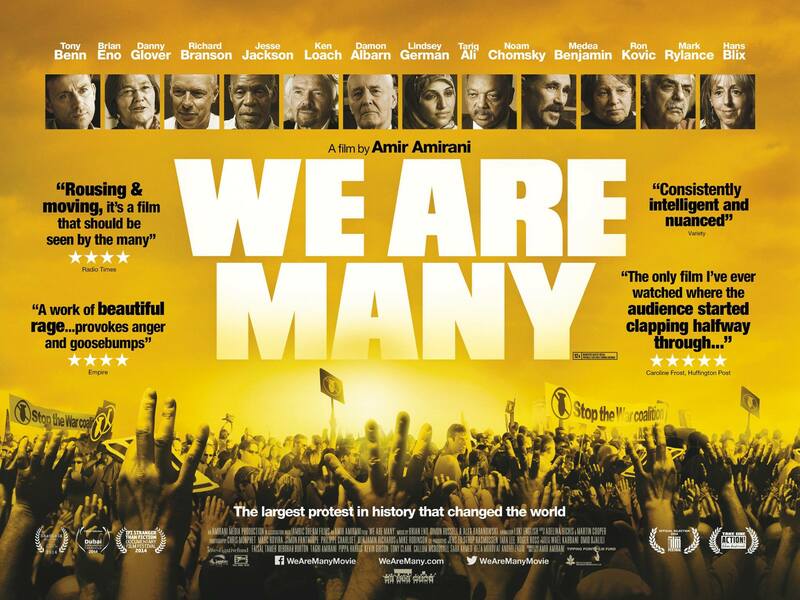 The film features testimony from a unique cast of direct participants, including organizers, activists, high-profile figures, and of course the public, filmed in many countries including Italy, Spain, Egypt, Australia and USA. Leading UK contributors include Jeremy Corbyn and Stop the War organisers Lindsay German, John Rees and Chris Nineham.A Tipping Point Film Fund supported film. This year marks the 50th anniversary of the assassination of Rev Dr. Martin Luther King. 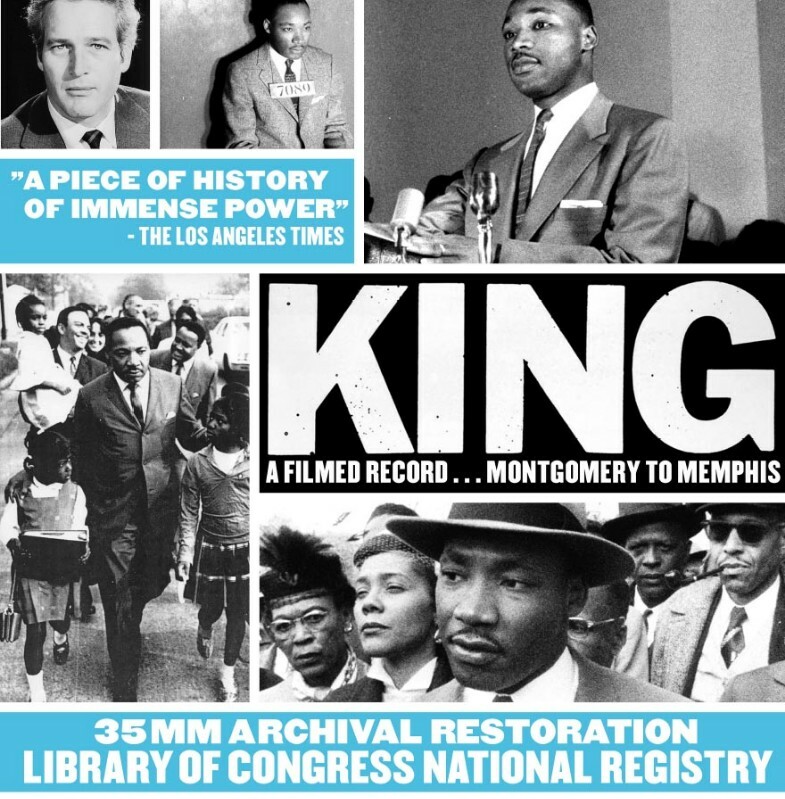 This stunning rarely-seen documentary from 1970, traces King’s life and accomplishments from the 1955 bus boycott to his 1968 assassination. The ‘Triple Evils’ that MLK talked of in 1967/68 are still interconnected, only now they are global: $1.7trillion global military spend; even greater levels of global inequality; and the far-right rising. King’s analysis is arguably more relevant today than then. Directed by Sydney Lumet and Joseph Mankiewicz. A Kino-Lorber Film. Public Licence Tipping Point North South. ← Autumn newsletter & Save the Date(s)!